North Carolina celebrates Falls Prevention Awareness Week starting on the First Day of Fall each year. We will begin planning early in 2019 for Falls Prevention Awareness Week 2019. 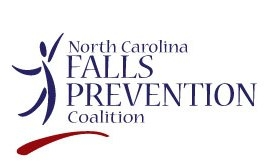 Presentation/Webinar by Ellen Schneider to the NC Falls Prevention Coalition on NCOA Falls Prevention Awareness Day and Week resources available for North Carolina. Summary of Falls Prevention Awareness Week activities in 2018 across the state of North Carolina. This summary was compiled by the National Council on Aging based on survey responses and reported activities from coalition members. The theme for 2016 was Ready, Steady, Balance: Prevent Falls in 2016. Social Media Messages: Tweets and Facebook posts ready to use! NCOA/IlluminAge Webinar: Implementing Effective Falls Prevention Programs in Your Community: The archived webinar, slides, and resources can be found here! NCOA: Falls Prevention Awareness Day Media Toolkit: updated for 2016!